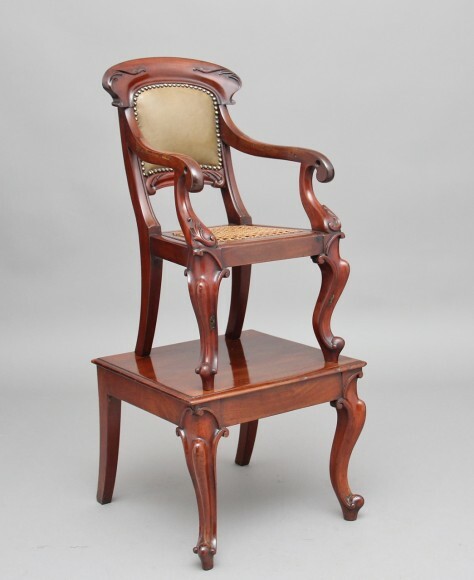 19th Century mahogany child’s chair with the original stand, the cabriole legs on the stand match the legs on the chair and continue to the carved and swept arms with a split cane seat and leather upholstered back. Fabulous quality and colour. Circa 1860.